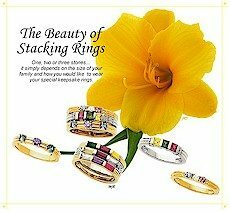 A nice stacking ring collection which includes 9 pretty designs each available with 1, 2 or 3 stones. 4 more designs are set with 1 or 5 stones. Choose from 14k yellow or 14k white gold and genuine or simulated stones. Rings offer round, square or straight baguettes and generally ship in about 4-10 days. 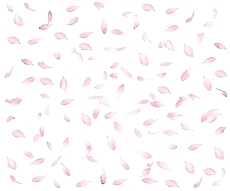 Click here to view selection. Another small collection of mothers jewelry. 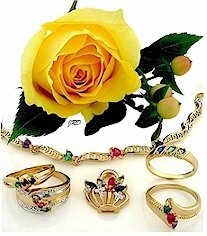 Mothers rings, bracelet and pendant selections with fast shipping on all items in this collection. Click here to view selection. One of our newest collections of beautiful mothers rings and pendants. A nice little selection of unique designs. Click here to view this selection.